Ok I wont lie. When I first saw this book I was like... ookeey, this is different, and it is but and there is a big BUT, it is really, really surprisingly good, it was wonderful in fact. Yeah I know it is about dolphins and it is not a children´s book. This author has made his research and it is a very thoughtfully and well written book. The book handle a lot of stuff. The way of life for a dolphin and how hard it is for them while the humans (the walkers) destroy the Eco system in the ocean. The book is also about friendship, loyalty, love and strength. I love the dolphin Sky and his character. He is thoughtful insightful and very loyal to the way, his friends and family and he risk everything to save the ones dear to him, a trait I find most admirable. What I like the most is that this book feels so real! Like this is how it could possibly be to live as a dolphin in the ocean. Caney makes this world really believable and interesting. 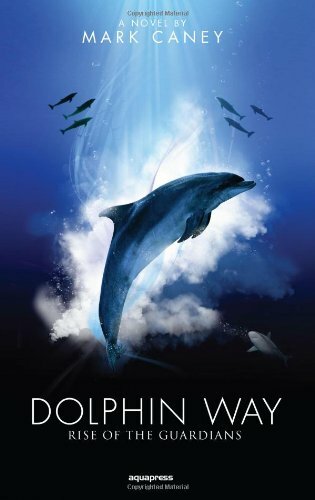 I never thought I could get so sucked in into a dolphin´s world but I did and I find that I am very happy to have read this book because it was so good. This book is exciting, intriguing and thoughtful with a little touch of love. Like someone once said: Never Judge a book by it´s cover (or by the title) it might surprise you and this book will I promise!